La MuIn dsNav e' una versatile scheda, basata sul dsPICC33FJ di Microchip, e' in grado di pilotare due motori in closed loop grazie all'aiuto di encoder ad alta risoluzione. Sono necessarie delle schede di potenza per i motori. 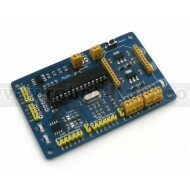 More details about the theory on which dsNAV is based and an example on how to use this board as the hearth of an autonomous robotic platform, can be found at URL: http://www.guiott.com/Rino/index.htm and in articles published on Circuit Cellar Magazine #224 (March 2009), #225 (April 2009) and #236 (March 2010). 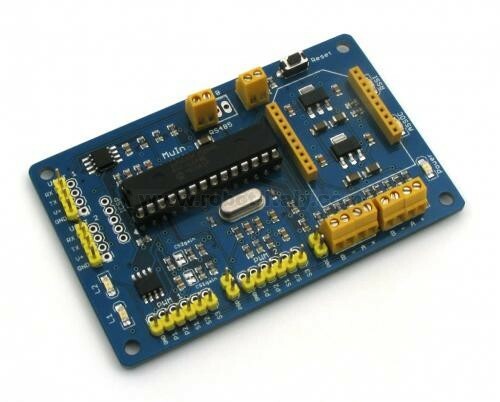 The board is equipped with one of the most powerful Microchip Digital Signal Controller, a plenty of operating RAM and flash program space: dsPIC33FJ128MC802 (but can be replaced with other compatible DSP). More info at droids.it website.